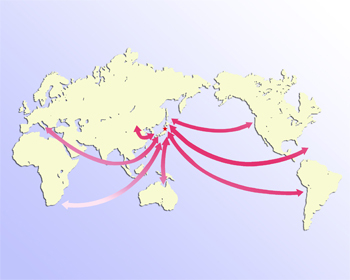 Major global shipping companies offering extensive route networks make calls at the ports of Yokohama and Kawasaki. In fact, a number of regular container liner routes offer direct and speedy services to the ports from around the world. Coastal feeder and coastal barge services are also operated between the Yokohama/Kawasaki ports and other domestic ports.